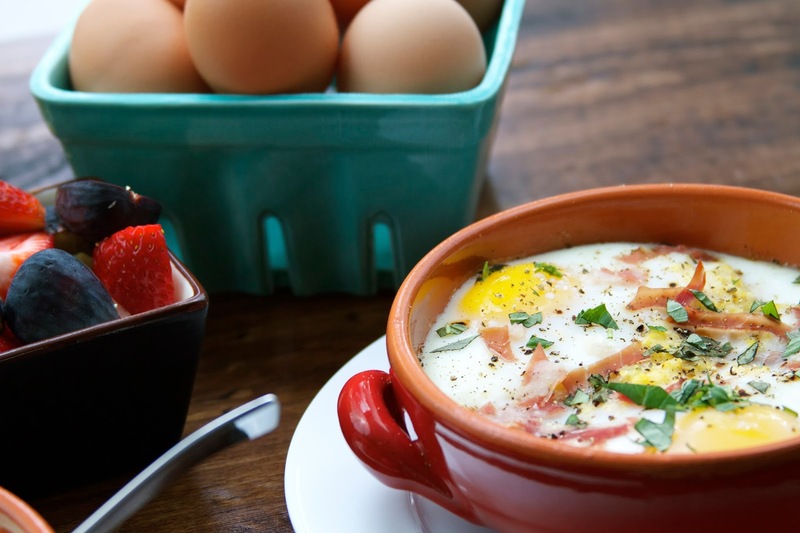 Being born and raised in the South, a staple weekend breakfast in our house often consisted of eggs, bacon and grits; or, eggs, grits and country ham with red-eye gravy; or perhaps, eggs, sausage and grits. Perhaps we would switch things up a bit and have fried fish and grits. You’re probably beginning to notice a pattern here! I’ve been living in the Southwest for 25 years, and what makes me sad is that grits are always hard, if not impossible, to find. I can usually find the packages of instant grits, but they just aren’t the same and besides, that’s not the way Momma made them! So, I’ve adapted, and instead of the white, coarse-ground grits of my youth, I now simply use golden polenta, which is almost exactly the same. 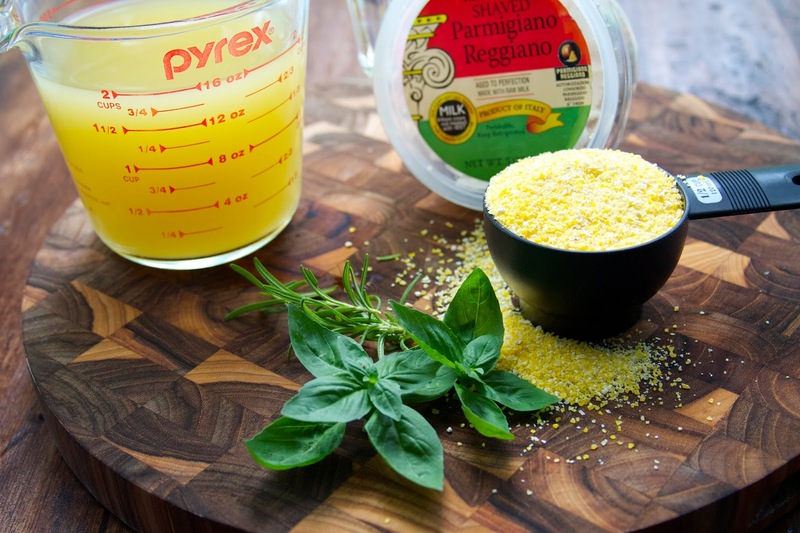 Both grits and polenta are made of ground corn, with the difference being that grits are made from ground alkali-treated hominy. 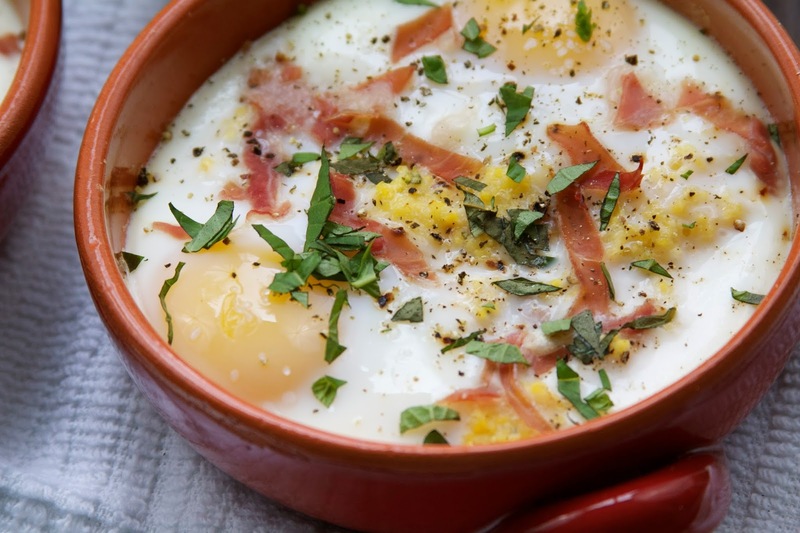 I know I’ve told you how much I love eggs and in this dish, the eggs are gently baked on top of a bed of creamy polenta that’s seasoned with fresh rosemary and basil. Then it’s topped off with a bit of sliced, salty, Prosciutto di Parma and chopped basil. This isn’t the way Momma made it, either, but in a way, this updated dish perfectly blends my Southern upbringing with Eric’s Italian heritage. 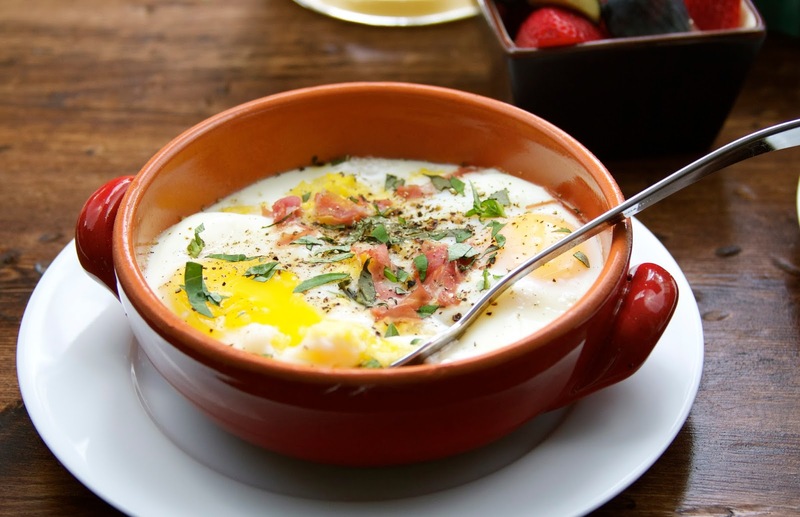 It’s a lovely dish to make for brunch and it’s easy to assemble for multiple people. 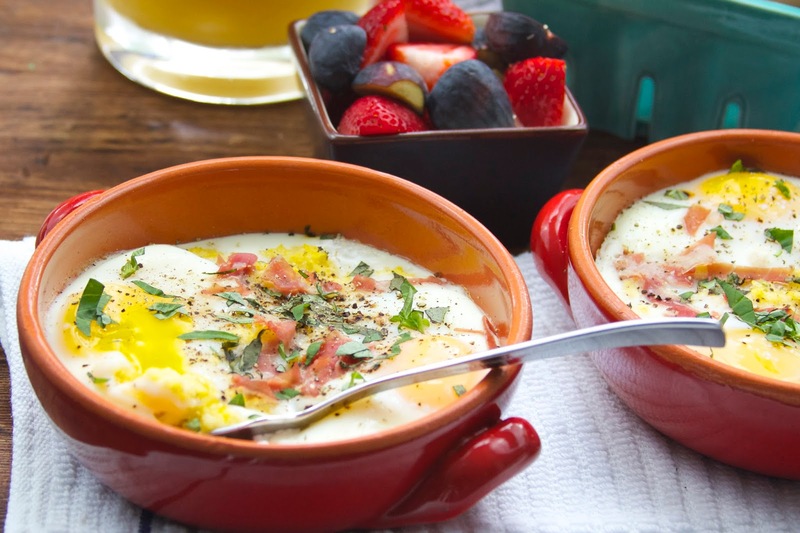 Everyone gets their own piping-hot bowl, right from the oven! Preheat your oven to 350 degrees. To make the polenta, bring the broth to a boil and slowly whisk in the polenta, keep stirring until the polenta begins to thicken, then reduce the flame to low. Add the rosemary and about a teaspoon of the chopped basil, a very small pinch of salt and some fresh ground black pepper. Stir often to avoid sticking and cook for approximately 15 to 20 minutes. Add the parmesan cheese. At this point I also add a small amount of butter, about 1 teaspoon, to give it a creamy texture. Stir to combine. 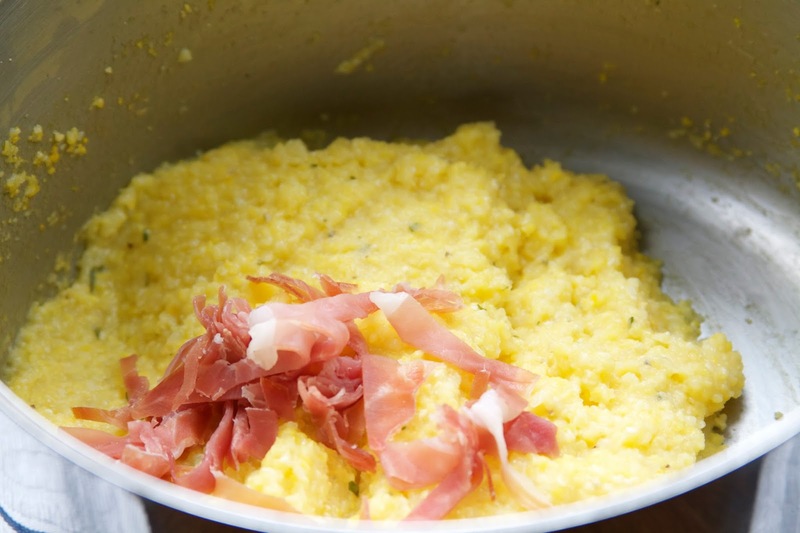 Slice the prosciutto across the grain in thin slices and add half of the prosciutto to the cooked polenta and stir to combine. 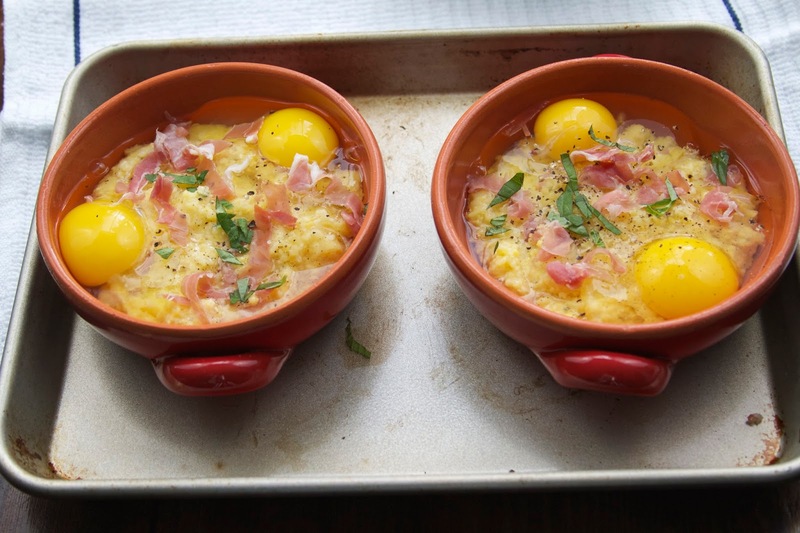 Divide the polenta into oiled or buttered oven-proof ceramic bowls. Place the bowls on a sheet pan. 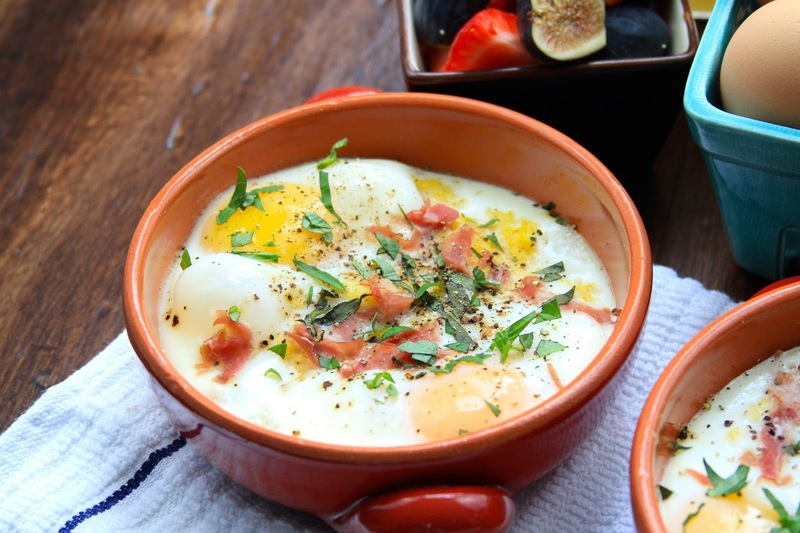 Top each dish with two eggs and sprinkle the eggs with the remainder of the prosciutto and the basil. Add a very tiny sprinkle of salt and pepper. 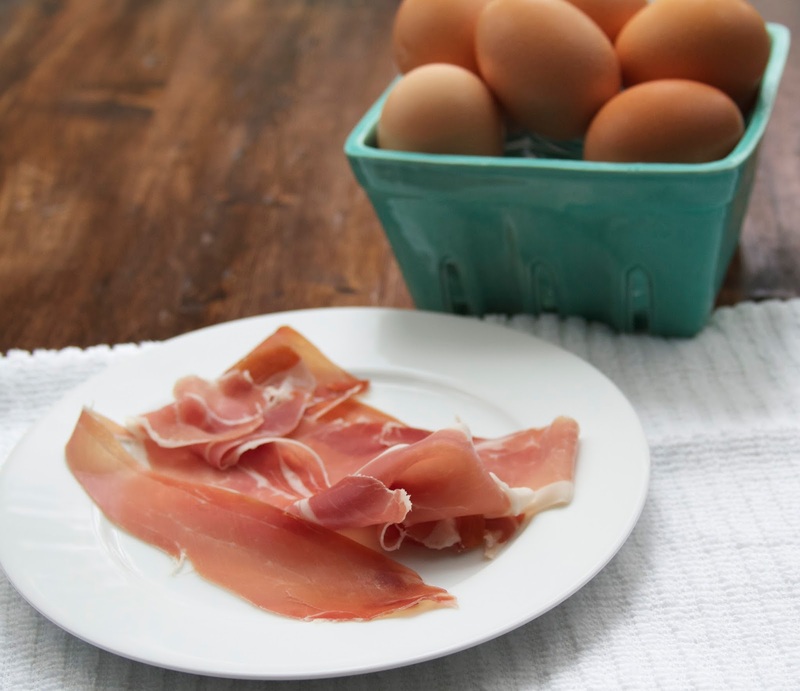 Go easy on the salt, as the dish will be well salted from the prosciutto and the parmesan cheese. 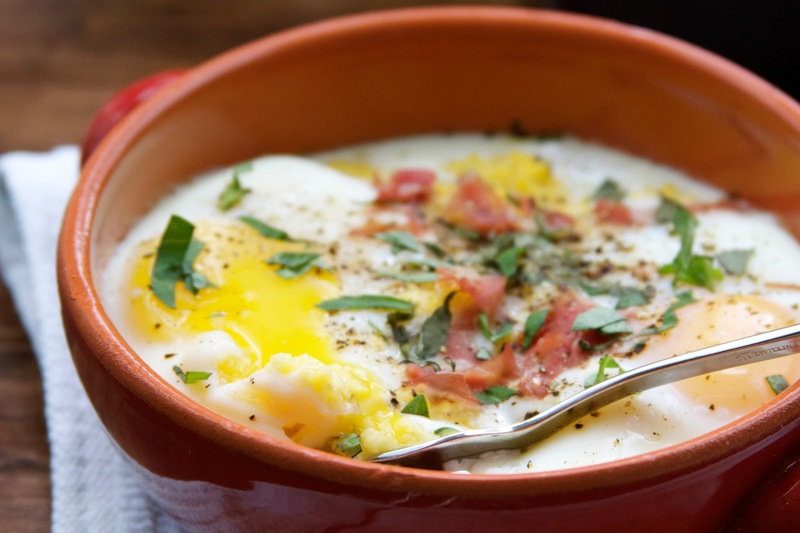 Place in a 350 degree oven for 25 to 30 minutes or until the eggs are cooked to your desire. Because I like my yolks runny I removed these when the yolks still had some jiggle and the whites were cooked through–about 25 minutes. These were so delicious! Comforting and warm and filling!